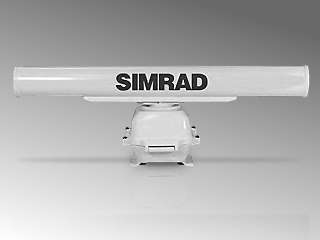 The Simrad TX06S-1 is an operating in X-Band navigation radar for yachts and motorboats 40ft in length and above. TX06S-1 uses a 4 foot slotted waveguide antenna and a magnetron transmitter with keyed ON/OFF pulse modulation. The digital radar signal processing present targets more clearly and reject clutter using 10-bit radar video sampling, rainreject and sensitivity time control.